Aside regarding the Halloween decorations: I put them away, in the attic, all by myself, like a normal human. This is pretty much the first time I’ve gone into the attic for more than a thirty-second dash since the first bat episode almost four years ago. Yay me! Every year we shut down the “office” (air quotes now since we work from home and the office is virtual) between Christmas and New Year and given the way the holidays fall this year, I’m trying to figure out how many bonus days I can tag on. Two weeks sounds pretty awesome, not gonna lie. 🙂 I’m counting down. Wendy Staycation 2013 is going to be a blissful slugfest! Updated….I totally neglected to include the part where I’m not sounding lame! I had tap class tonight – woo hoo! I was TIRED (perhaps I’ve mentioned this) and it’s cold out and I really wasn’t feeling like going to class. But every week, even when I feel less than motivated, I leave class feeling happy and lively and in a supremely good mood. I love spending time with my friend Jon, and it’s great to have a standing weekly time to catch up with him. And the class is FUN. It’s challenging and Miss Donna is really pushing us now to learn more and do more and there still is not going to be a recital so stop asking. 😉 I love it, even when I feel clumsy and like I’m never going to get the hang of something. So YAY, it definitely helped me shake off my slump today. And because I sound of like a downer, let’s move on to something better, like DESSERT! 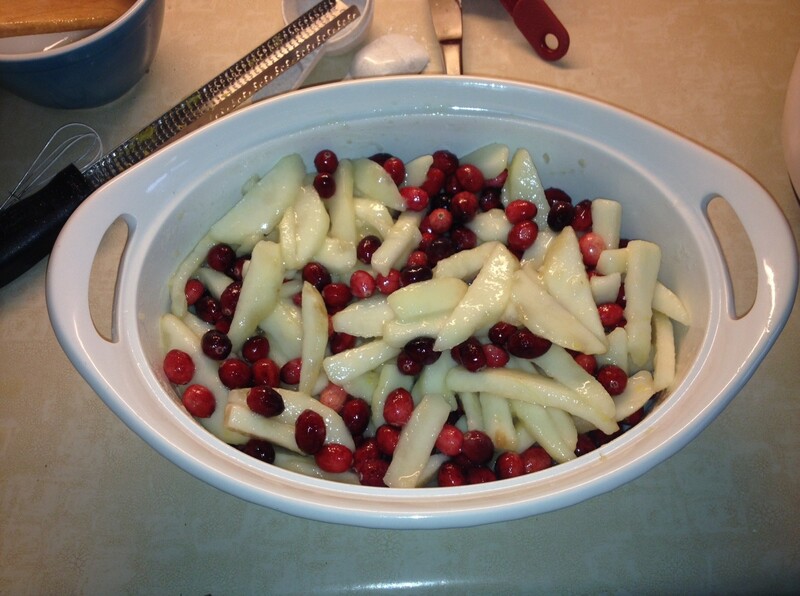 A few of my Facebook friends asked for the recipe for the pear, cranberry & gingersnap crumble I made for Thanksgiving. It’s SOOOOOOOO delicious, and super-duper easy to make, I promise. And it’s fruit, so come on, it’s like health food. The recipe comes from Smitten Kitchen, but I’ll share it here too, because I hate blogs that just tell you to click through to other things. Did I mention that it’s delicious? Because it IS! And it’s so pretty! Look! Pretty! 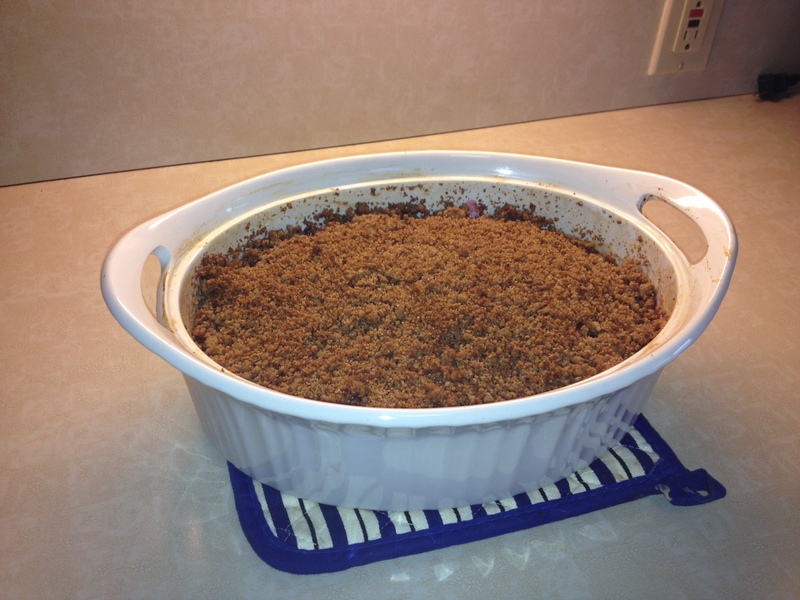 Just out of the oven – yum! No bats in the attic! I’m glad I’m not the only one who leaves groceries in the trunk. Thank you for the recipe. I would prefer your baking it and my eating it, please. And yes, it is GOOD.